Handshake - a modern platform for college recruiting. In the coming weeks you will be getting an invitation from Handshake inviting you to create an account. Signing up is easy and takes less than 5 minutes. Students will be invited into the system shortly thereafter. Learn about Handshake in this video: Handshake. The staff at Career Services is available to assist employers in connecting with our students as they look to meet their staffing needs for part-time, full-time and internship opportunities. At the University at Albany, students can choose from more than 100 undergraduate majors and minors and 120-plus graduate programs. Many of these programs are nationally ranked. Students are also encouraged to take advantage of the many opportunities for study abroad, internships and public service. The varied perspectives and life experiences of a student body and faculty which represent more than 100 nations provide a diversity that enriches learning at UAlbany. 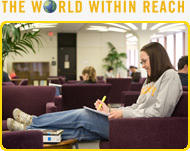 On-Campus Recruiting at the University at Albany is managed through our on-line job system called Handshake. The recruiting dates for this semester are listed below. If you are interested in recruiting on campus, please contact Tibisay Hernandez, Assistant Director for Employer Relations, at (518) 437-3912 or email thernandez@albany.edu. She will work with you to select and reserve your recruiting dates. You can also create your on-campus recruiting reservation request on-line. If you are already familiar with our system you can start by logging in. If you are new to our system you will need to register first. Employers can now add jobs and internships directly into our on-line job posting system Handshake. This option is separate from on-campus recruiting. If you are new to our system you will need to register with Handshake first. Creating a Handshake account. Signing up is easy and takes less than 5 minutes. Click on the employer login link below and then choose the Click here to register link on that page to set up your new account.